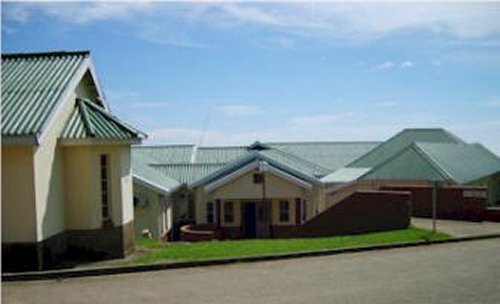 Ekombe is a district hospital in a deeply rural area in the Nkandla Magisterial District of the Kranskop and Silutshana main road in the midlands of KwaZulu-Natal. Directions to Ekombe Hospital. Ekombe's vision is the provision of health care services that enable the people of Ekombe area to achieve optimal health status. This vision is supported by the mission and core values. In a recent accreditation programme, Ekombe hospital was awarded accreditation for Infection Control and Nursing Management. Accreditation can be defined as official recognition by experts indicating that a health service substantially guarantees a quality service by complying with nationally and internationally agreed standards for health services. The hospital was founded by Norwegian Lutheran Missionaries in 1878. It was built with Governor Generals National War Funds. We give honour to our Africans of the surrounding area who fought in the 1859 war for they are the main reason why this hospital is in existence today. In 1979 it was handed over to KwaZulu Natal Government. It was renovated and extended in 1993-1994. Ekombe Hospital has 7 residential clinics and 3 mobile clinics with 30 points, it serves the population of 85 000 people.